Valentino Rossi officially reveals his new helmet design for the 2018 MotoGP world championship season fresh from his new two-year contract. 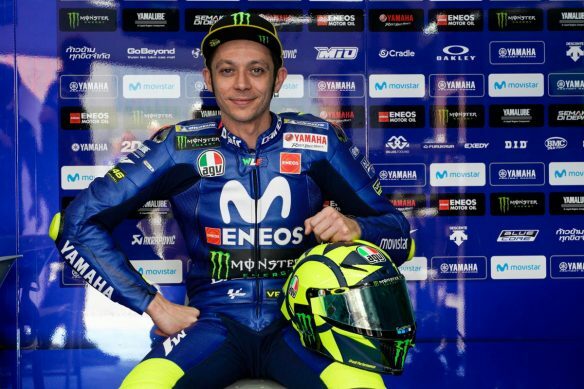 Friday, March 16, 2018 — DOHA, March 15, 2018 – AGV and Valentino Rossi present the nine-time World Champion’s new MotoGP helmet, featuring an innovative take on the historic Soleluna (Sun and Moon) graphic, used by Rossi since the beginning of his career. The 2018 design of Rossi’s Pista GP R – the pinnacle of AGV’s racing helmets – is a modern twist on designs from the 1970’s. 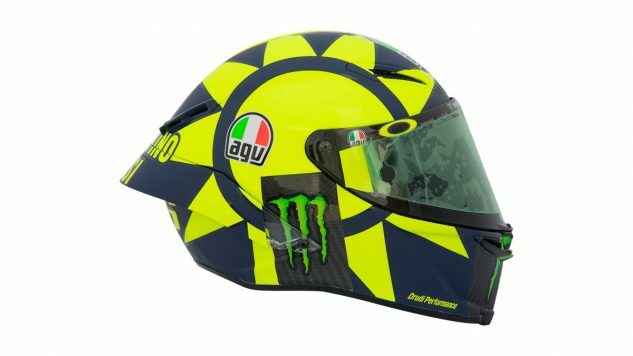 Valentino Rossi and legendary helmet designer, Aldo Drudi, collaborated to update the design of the AGV Pista GP R in a completely new and unique look compared to Rossi’s past helmet designs. The combination of technical support from AGV and design collaboration between Rossi and Drudi brings together the best of technology, safety and racing style. Inspired by popular graphics from the 1970 ’s, the new Valentino Rossi helmet features linear shapes, colour blocks that stand out on the shells, and the name of the rider. Drudi’s creativity brought Rossi’s concept to life: a helmet that he would have worn should his racing career have taken place in the 1970’s, an idea the champion from Tavullia, Italy, has had in mind for years. 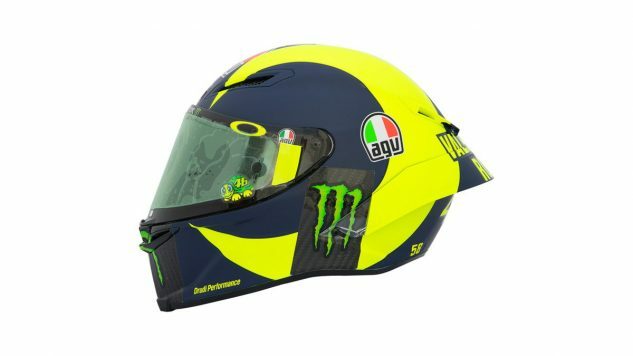 The design is a pronounced change in direction compared to the style of the latest designs presented by AGV and Rossi, including the extremely colourful Mexican-themed helmet used during the 2018 Winter Tests. 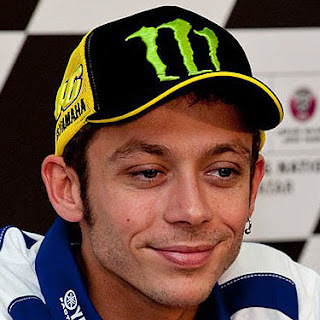 For Rossi, the presentation of new helmets has become a true ritual, full of nuance, and often imitated. The design of the new helmet is deliberately clean and simple, leaving ample room to emphasize the drawing of the Sun and the Moon, and introduces a change in colours including a refined matt finishing for the dark blue areas. With unmatched protection, performance and comfort, the AGV Pista GP R is the top-of-the-range of the AGV Extreme Standards, an innovative and pioneering integrated design protocol that revolutionizes development, resulting in significant improvements in the helmet’s performance in terms of impact protection, field of vision, compact design, lightweight, aerodynamics, ventilation and ergonomics. The AGV Extreme Standards process raises the level of helmet R&D and represents a milestone in head-protection technology.